Think that sprig of parsley on the side of your plate is just sitting there looking pretty or that mushrooms aren’t particularly nutritious? Find out why these and 4 other “worthless” foods are better for you than you think. Mushrooms don’t have the bursting-with-nutrients reputation of more brightly colored vegetables like sweet potatoes or Swiss chard, but mushrooms are good for you. Although low in calories (just 20 calories per cup, or about 5 mushrooms), they deliver a meaty flavor, which makes mushrooms a satisfying replacement for all or some of the meat at dinner. They’re also one of the few foods that deliver vitamin D—4 medium mushrooms provide 5 IUs of the vitamin; it’s not a lot (the daily recommendation is 400 IUs), but it is notable. Lastly, there’s emerging research suggesting that white button mushrooms contain phytochemicals that may help prevent breast cancer. Iced tea is not only refreshing, it’s good for you (as long as you drink unsweetened or very lightly sweetened tea, so you’re not loading up on added sugars). Studies show that if you drink tea regularly you may reduce your risk of Alzheimer’s and diabetes, plus have healthier teeth and gums and stronger bones. How? Tea is rich in antioxidants called flavonoids, which are most potent when tea is freshly brewed. If you want to keep a batch of cold tea in your refrigerator, add a little lemon juice. The citric acid and vitamin C in that squeeze of lemon—or lime, or orange—help preserve the flavonoids. 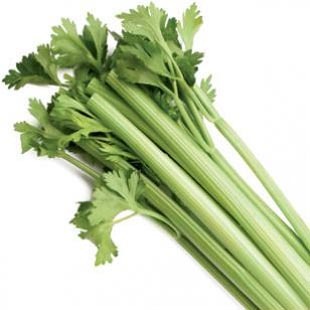 Before you dismiss parsley as a purely decorative garnish on the side of your plate, consider this: just 2 tablespoons of parsley contains 156% of the daily value (DV) for bone-building vitamin K, 17% of the DV for vitamin C and 13% of the DV for vitamin A… and all for a mere 3 calories. If you notice a layer of liquid on top of your yogurt, don’t pour it off. That liquid is whey—a naturally occurring protein in dairy. As Karen Ansel, M.S., R.D., reported in EatingWell Magazine, whey is also the component in dairy that researchers think may help you lose weight and gain calorie-burning lean muscle, according to research published in The Journal of Nutrition. Mice fed a high-fat diet that included whey gained 42% less weight, nearly a third less body fat and packed on 7% more lean body mass than mice that didn’t eat whey, though both groups ate roughly the same number of calories. To get as much whey as the mice did, you’d have to take a supplement. Get some whey naturally from ricotta, milk and yogurt. Radishes are rich in naturally occurring nitrates—which, unlike unhealthy artificial nitrates found in processed meat, may be beneficial. In a study published in the January 2011 issue of the journal Nitric Oxide, older adults who ate a nitrate-rich diet got a boost in blood flow to the frontal lobe of their brains—an area commonly associated with dementia. Poor blood flow contributes to age-related cognitive decline. Scientists think that the nitrates’ nitric oxide, a compound that keeps blood vessels supple, helps increase brain blood flow. Another bonus for radishes? One radish has just 1 calorie.